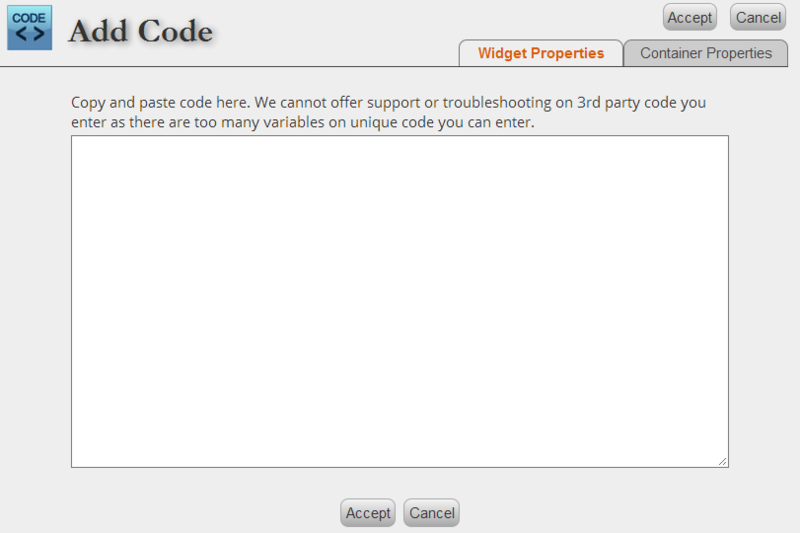 The Code Widget allows users to embed 3rd Party Code inside a tab. Perfect for embedding Aweber, Vertical Response, and Salesforce.com forms onto a tab, the code widget accepts the embed code created in another service and displays it on the tab page. Drag the blue CODE widget down to your tab work area. This will open the Code Widget embed area where you will paste your outside code.